€ 100,00 – € 115,00 excl. VAT. 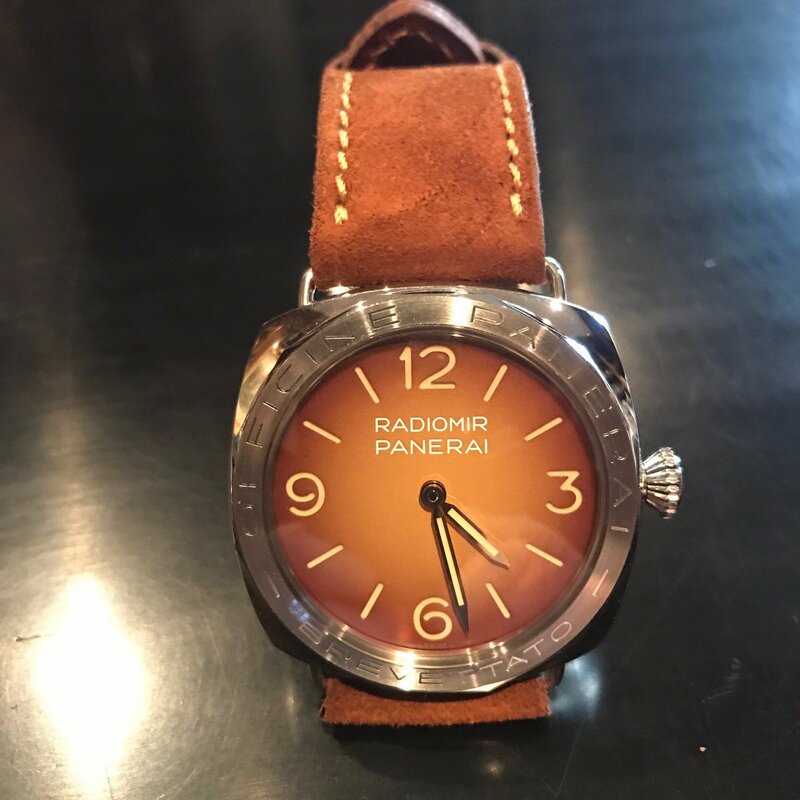 A beautiful Italian Calf grain leather in Panerai Blue with sewn in curved brushed steel buckle. € 120,00 – € 165,00 excl. VAT. € 100,00 – € 190,00 excl. VAT. € 110,00 – € 150,00 excl. VAT. Maestro Antico - vintage Tuscan leather with deep character and patina - wonderful tones of chestnut and bronze. Crafted from 80 year old Tuscan Leather from the DiStefano family tannery. Available in choice of contrasting stitch - off white, ecru or gold. Limited availability due to this scarce vintage Tuscan leather. Di Stefano Straps ha aggiornato la sua immagine di copertina. The new sporty divers confortable and waterproof .